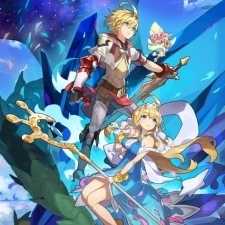 Nintendo and Cygames' mobile RPG Dragalia Lost brought in more than $3.5 million in the five days following its launch, according to Sensor Tower estimates. So far the title has only been launched in the US, Japan, Hong Kong, Taiwan and Macau. During its first five days it also generated over 800,000 downloads. Dragalia Lost peaked at 10th on the Japanese App Store top grossing chart and 55th in the US. On the Google Play top grossing rankings meanwhile, the title was said to have reached third in Japan and 35th in the US. 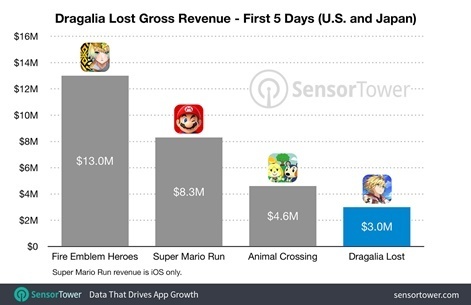 Sensor Tower pointed out that Dragalia Lost’s five-day haul in the US and Japan is the lowest to date for a Nintendo mobile launch. Animal Crossing took $4.6 million in that time, while Super Mario Run took $8.3 million and Fire Emblem Heroes made $13 million. It should be noted however that Dragalia Lost is a completely new IP and doesn’t have the brand recognition of those other long-standing franchises. And $3m in five days is nothing to sniff at.